René Furterer was the first to create plant-based hair care products offering the luxury of being both ultra-effective and highly appearing to the senses. He selected rare and precious essential oils and transformed these quintessences of plants into an ultimate nectar, enhancing their therapeutic powers. Discover the 100% drug-free solution for thicker-healthier hair. Rene Furterer offers proven botanically-based solutions to address both progressive and reactional thinning hair. From sleek and straight to voluminous or curly, Rene Furterer offers styling products necessary for creating and finishing any look. Natural key ingredients maintain the hair’s health and beauty without sacrificing style. In 1957, René Furterer opened the first spa for hair in Paris, using what he learned about natural ingredients and essential oils early in life. He realized right away that healthy, radiant hair comes from within, from a healthy scalp. Every product and method developed since is based on these principles established by our founder long ago. 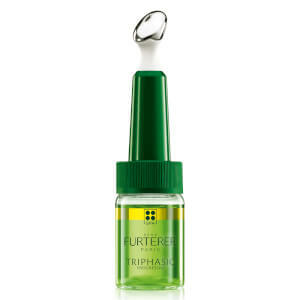 René Furterer combines the best of nature with pharmaceutical expertise for innovative, safe, effective products and built on the principles of scientific precision, ethics and dedication to innovation in health and beauty. 100% of key ingredients are natural essential oils and plant extracts. Beautiful begins with a healthy scalp. Your scalp thrives on good blood flow and the right nutrition. 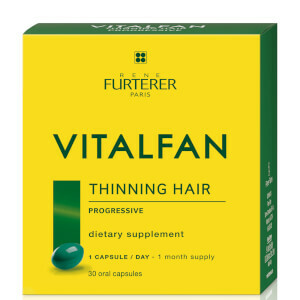 Poor nutritional status and deficiencies in vitamins and minerals can lead to a dry, flaky scalp along with hair thinning and hair loss. Rene Furterer understands the importance of a healthy scalp and how it impacts the appearance of your hair. That's why the brand has formulated its hair treatment products with botanical extracts and essential oils that enhance the health of both hair and scalp. Along with basic products for all hair types from dry to oily, Rene Furterer offer treatments for specific hair problems like hair breakage or hair that's limp and lacks body. With natural ingredients like carob extract that add strength and volume, these products visibly transform lackluster hair into hair that's noticeably fuller and more vibrant. Rene Furterer sources ingredients from the rich bounty nature offers - from plants and herbs to essential oils. Each essential oil and extract is carefully chosen and tested for its hair and scalp enhancing properties before it's added to any products. Not only will your hair and scalp feel the difference, you'll appreciate the way these products feel and smell when you put them on your hair and scalp. In 1957, hairstylist Rene Furterer developed an idea that would forever change the way that hair care products were formulated. Very interested in botanical extracts, he hypothesized that using pure oils derived from plants could make big improvements in the health of the hair. At that time, many women were over-processing their tresses, subjecting them to hair dyes and permanent solutions as well as damaging them by teasing and back combing to get the hairstyles that were popular at the time. None of the hair care products on the market were geared toward actually improving the quality of the hair, and as a result, women continued to damage their hair until it became prone to breakage and split ends. When Rene Furterer introduced his new formulas to his clients, they began to see improvements in the way their hair looked and felt. He explained that like plants, hair received nourishment from its roots and that by improving the health of the scalp, the hair could reap incredible benefits. As more and more people began to use his products, the Rene Furterer collection continued to grow, becoming one of the most well-known natural hair care lines in the world. 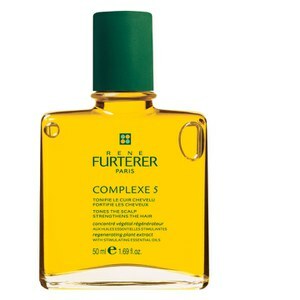 Now, you can discover the benefits of the Rene Furterer approach to hair care by shopping the collection here at Skinstore.com. The collection includes a selection of shampoos for removing impurities, conditioners for keeping the hair nourished and hydrated, styling products for getting beautiful looks and treatments to address hair care concerns. When your hair looks bad, your mood may shift in a decidedly negative direction. After all, no one wants to walk around with dull, frizzy, or otherwise unmanageable hair. To avoid this type of situation, the best step you can take is to discover high performing hair products that deliver on their promises to remove frizz, brighten your locks, and improve the appearance of your hair. When you browse through the available collection of Rene Furterer Products, you will discover an aromatic array of scalp-penetrating solutions that revive the beauty of your hair as they cleanse, condition, and instill manageability into your hair. Whether you are looking for a complete medley of hair care products or you simply want to try something new, the full line of Rene Furterer Products offer exceptional formulas that treat your hair the way that it needs and deserves. Take a look at the following Rene Furterer Products and see what you can find! Each of our Rene Furterer Products offers a distinctive fragrance and multiple benefits, creating a pleasant atmosphere during your hair care session. Cleanse, condition, style, and treat your hair. It's an endless process that can be used to create gorgeous locks that glisten with renewed beauty. Carefully blended with active plant ingredients, Rene Furterer Fioravanti Clarity and Shine Rinse performs well as it restores shine to your hair. Performing synergistically, the ingredients of this rinse remove dullness as they brighten lackluster locks. The process is simple, drawing from the traditions of old that were designed for the same purpose - instilling a gorgeous shine to your hair. For a leave-in solution to unruly locks of hair that refuse to sit nicely, try the gentle formula offered by Rene Furterer Myrrhea Anti-Frizz No Rinse Silkening Fluid. It treats your hair to the richness of Avocado Oil, smoothing your hair as it nourishes it to induce better manageability and smoothness. 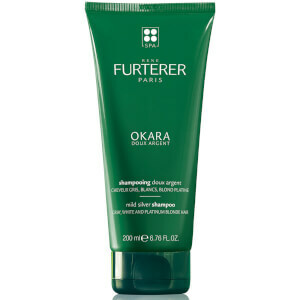 If you blow dry your hair, you may want to try this silky fluid soon because it does offer terrific results that ease the hair-drying process. Did you know that a healthy scalp is necessary for healthy hair? You probably do, and that is one reason to begin using the cleansing formula of Rene Furterer Complexe 5 Regenerating Plant Extract. This complex delivers the goodness of Lavender and Orange essential oils to stimulate the scalp and encourage the microcirculation that invigorates new growth. Your hair looks more beautiful as it is strengthened from the root outward, enhancing its volume and fullness. For the best results, use this regenerating formula in combination with other Rene Furterer treatments.